Fill out our simple form and get quotes from local Dome Marquee suppliers. Dome Marquees have a totally unique look and are a distinctive and contemporary take on the traditional marquee structure. A great talking point for your guests whatever the occasion, dome marquees are a natural fit for weddings, private parties, festivals or corporate events. Most dome marquees come in differently sized modular units that can be connected together to create the marquee shape that best fits your event. This versatility makes dome marquees a great choice if your event would benefit from having certain areas, like catering or a chill out zone, separate from the main area. Most dome marquees are easy to erect and take down, as they do not require staking down into the ground, which also makes them an option whatever the terrain is like at your event venue. To find out more about dome marquee hire and to hear from the best local suppliers, simply complete a request form. Our dome marquees can be joined together to make really interesting spaces for all kinds of events. We can supply flooring, heating, furniture, sound systems and dance floor lighting. The dome will hold over 300 people, The dome is 18m diameter. Great for nightclub, festival tent, party dome. Fresh Productions is an event production company that provides temporary event structures, live event production equipment, event management, and event consultation. Luxury Lavatories is a family run business providing a clean reliable service for all different types of outside events. The versatile, unique structure of dome marquees are becoming increasingly popular for events across the UK. Most dome marquees for hire are made from a mixture of lightweight yet sturdy aluminium and canvas covers, and suppliers will usually have the option of wooden or carpeted flooring inside the dome. 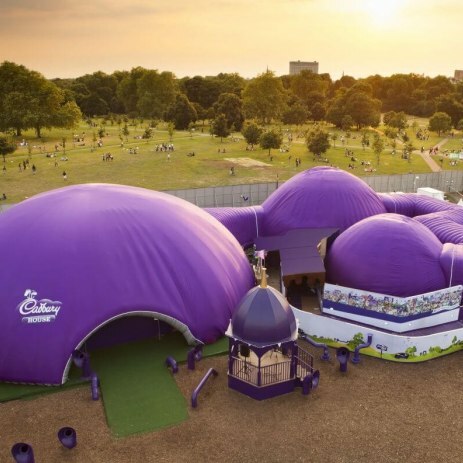 Suitable for any season, dome marquees are also large enough to accommodate all sorts of activities, from buffets to dance floors and everything in between. Dome marquees are a modern, stylish and fun choice for your event and are guaranteed to get your guests talking. Learn more about hiring dome marquees and hear from the best suppliers in your area, simply by completing a request form.